Being a marathoner is no easy task. Come rain or shine, marathoners make it a routine to rise early and practice in order to enhance their endurance and make themselves stronger. Believe it or not, even if they turn it into a habit to practice, it is difficult for them each and every day, just like it would be difficult for non athletes. Running is a tough sport and it will get the athlete nowhere without perseverance, diligence and unfailing hard work each and every day. After all the capacity to run miles after miles does not develop just like that. It takes the right amount of passion and determination. 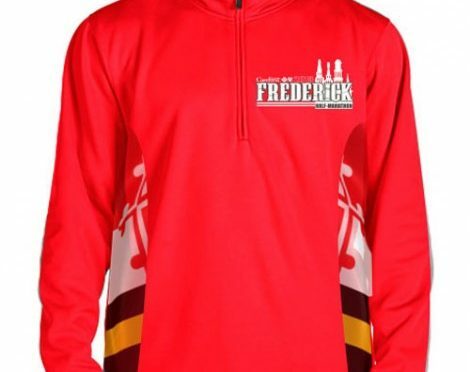 It is quite unfortunate that running is not as glorified by sponsors as other sports are and there is still a dearth of edgy apparel for marathoners to identify themselves by. For what it counts, the sports apparel manufacturing companies are now slowly acknowledging the need for marathon clothing and as a result marathon shirts are no longer uninteresting or boring. The marathon t shirts the athletes wear must convey their love and passion for this sport. Their zeal to succeed must be evident on the shirts and t shirts they wear when competing against other runners in a tournament. Their outfits must help them find their fire and give them a voice when they are running towards the finish line. Nowadays, it is not hard to come across funny marathon shirtsthat have a quote or two o them or a design that may be though provoking, satirical or inspiring. clear of resistance that can result in abrasion. You must choose styles that are attractive but simple and does not have too many contrast panels and what are commonly called color blocks. The more seams there are in the fabric, the more irritation it will cause to the skin. It will be best to avoid having those scratchy tags at the base of the athlete’s neck. Previous PostWear Custom Made T-Shirts to Look Unique and StylishNext PostClassic Or Colorfully Bold – Your Choice Of Jackets For Men This Season!